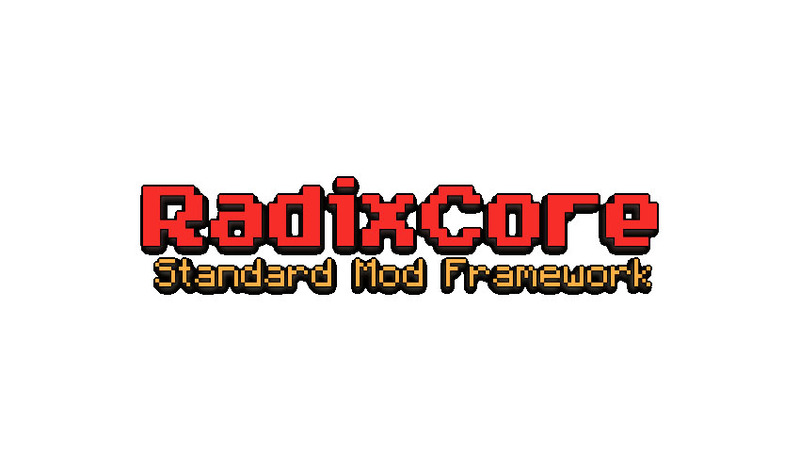 RadixCore 1.12.2/1.10.2 is a library of many different functions that will assist modders, both beginner and advanced, as they create and maintain their mods. It does not load mods. Instead, several core functionalities that need to be implemented in most mods are automatically handled by the API. RadixCore also offers additional powerful features that are enabled with only a few lines of code. This is not a replacement for MinecraftForge, FML, LiteLoader, or any other API with mod loading capabilities.